Today, we’re sharing our videography highlight reel with you. Two Stories Media has multiple reels, which include corporate videography, aerial and drone videography, and event videography. These reels are highlights of our best and favorite work. It’s important to have updated reels for us and for our clients and potential clients to see our work and capabilities. 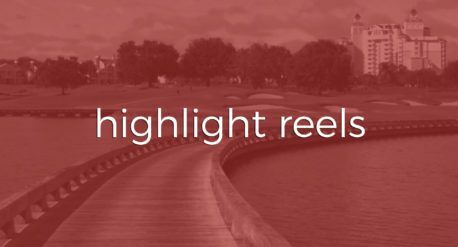 We want to educate our clients and the public about the importance of a highlight reel, including how to tell if the reel is up to date, and what to look for in a reel to determine if Two Stories Media is the production company for you. 2017 Demo Reel from Two Stories Media on Vimeo. What’s the importance of a reel, you ask? Two Stories Media has been in multiple production situations. Our reels showcase the success in these situations. For example, a client or producer may wonder if we understand how to light and shoot indoor scenes if a reel features only outdoor shots. Second, the style of a reel is important. You get a sense of how Two Stories Media films in various production situations. Style is especially important because the final piece needs to match the creative look and feel that our clients desire. Choosing a company that specializes in utilizing light, colors, and movement may not work for a black and white, more stationary piece. One way you can tell if the highlight reel is updated is to look for multiple reels throughout the years. Two Stories Media has 2016, 2017 and a soon-to-be 2018 highlight reels. Do you see multiple videos for multiple clients in between reels? You can find our most recent projects on our Vimeo page and our videography page. Having ten videos for one client may be great if that look and style are what you desire; but, without variety it may put into question a company’s branding, marketing, stylistic knowledge, and abilities. As you can see in our reels, we feature a variety of videography skills and styles. Two Stories’ skills and style are showcased through different productions such as commercials, event videography, aerial videography, and more. We plan to release our 2018 highlight reel in mid-January. Currently, we are in the conceptual stage of how it will look and are pulling content for it. We will edit our reel throughout November and December while we are between projects. Drone Reel 2017 from Two Stories Media on Vimeo. Updated, recent projects – Is the production company active and consistently working? Multiple projects for multiple clients – Does the highlight reel show the production company’s range of projects (i.e. corporate videography, event videography, etc.) and capabilities (i.e. indoor, outdoor, aerial, etc.)? Style of the highlight reel and featured projects – Do these meet the style that you are looking for? 2016 Demo Reel from Two Stories Media on Vimeo. We hope you enjoyed viewing our reels and learning about the importance of a reel for when you are choosing a production company. Keep an eye out for our 2018 highlight reel!